Control of relative humidity (RH) for museums and art galleries displays can be simplified by integrating solid state dehumidifiers as part of the micro climate control system. According to Wikipedia, museum collections are often made up of a variety of materials in a single collection including: canvas, oil and/or acrylic paints, wood, ivory, paper, bone, leather, and textiles. The biggest conservation issue for museum collections is the fluctuations in relative humidity and temperature. Relative Humidity (RH) is a measure of the percentage of saturation of the air. It has also been internationally agreed upon that the RH should be set at 50%–55%. This has become widely accepted because the lower limit was set at 45% since damage to organic materials begin to occur below this point. 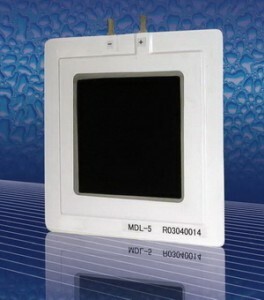 The upper limit is placed at 65% because mould flourishes at 70% RH. It was also cheaper for most institutions to maintain 50% RH rather than 45% or 60%. Rosahl changes that. The ionic membrane used in the Rosahl dehumidifying system offers a compact, low-energy, maintenance free humidity control solution. Rosahl membranes can be retrofitted into existing installations or installed in new equipment from your regular suppliers.